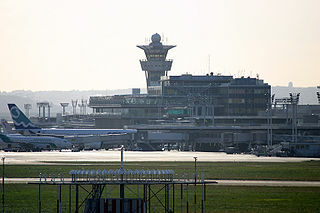 Last Saturday, Orly airport‘s air traffic was severely disrupted, leaving thousands of passengers stranded on the ground, Le Monde Informatique reports. The cause: a computer failure of the weather data management system running on Microsoft’s antediluvian Windows NT 3.1 operating system. Computer system failures in the aeronautical world are nothing exceptional, but always have a far-reaching effect, stranding thousands of passengers on the ground. This is exactly what happened last Saturday at Orly which had to halt of all its inbound and outbound air traffic for more than half an hour. Besides the inconvenience caused, it’s above all the origin of the failure that is somewhat surprising. According to the French satirical paper Le Canard Enchaîné, it was a failure linked to the Decor (Diffusion des données d’Environnement de Contrôle d’Orly et de Roissy = Orly & Roissy Environmental Control data distribution) system managing data provided by Météo France that was the culprit. The surprising fact was this software is running on the Windows NT 3.1 operating system released by Microsoft 22 years ago, i.e. an operating system no longer supported at all by Redmond, with all the risks this involves in security terms, especially as it is connected to Météo France’s computer systems. “The traffic was not particularly heavy on Saturday morning. But imagine during the Paris Climate Change Conference, the manoeuvring of heads of state disrupted by a piece of software dating from prehistoric times. What will that look like?”, stated an engineer quoted by Le Canard Enchaîné. When contacted by the satirical paper, the Transport Ministry gave an assurance that “equipment modernisation is planned for 2017” (no need to rush, then! Ed.). Many thanks for taking the time to comment, letuvee.